Ruger LC380 owners can now convert their .380 into a 9×18 Makarov with the release of a new AlphaWolf Barrel from Lone Wolf Distributors. The AlphaWolf barrel measures 3.14-inches in length, converting the Ruger LC380 from a .380 pistol to a 9×18 Makarov shooter. Designed for lead, plated or jacketed ammunition the new conversion barrel is constructed from 416 stainless steel. The AlphaWold barrel is button rifled and treated with a SBN premium coating for a durable and rugged design. The addition of the 9×18 Makarov conversion barrels into the AlphaWolf lineup marks Lone Wolf’s first foray into the Ruger line of pistols. “With the bargain price of 9×18 Makarov ammunition, and the bump in performance over .380ACP, now you can maximize the potential of your Ruger LC380,” Lone Wolf Distributors said in a press release. 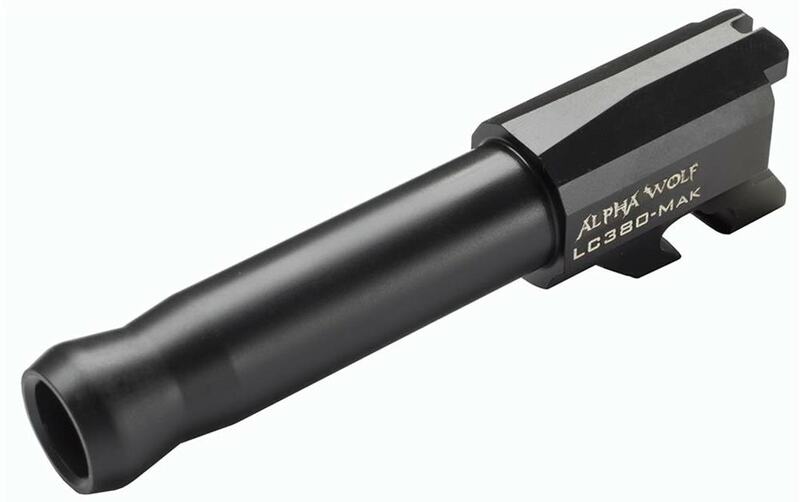 The new Ruger LC380 AlphaWolf conversion barrel is available from Lone Wolf Distributors featuring a retail price of $139.